Machiavelli, a corrupt lawyer, aggressively strikes close to the DiNunzio household, attacking Mary’s father and one of their beloved family friends by filing a lawsuit that accuses them of embezzling from the treasury of a local South Philly social club to which they belong. The lawsuit is frivolous, but Machiavelli ups the ante by spreading rumors that support its allegations, muddying the reputation of Mary’s father. The claims shake the DiNunzio clan to its foundations, threatening her father’s weakening heart, and Mary steps in to fight back. But Machiavelli is a more than worthy adversary. Then the unthinkable happens, and Mary goes to her own dark side, finding a part of herself that makes her more fearsome than ever before. Is it still a battle between good and evil, when good turns evil? And will Mary be able to find herself, before she loses her soul completely? 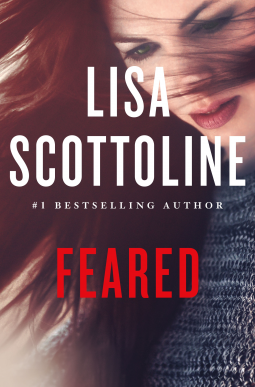 Feared by Lisa Scottoline is a heart-racing plot. The intensity of the scenes kept my heart pounding. I was not sure of what would be the outcome. The main character went through a lot of changes recently. From motherhood to catching bad guys, this strong independent woman made me speechless. Her bravery was crazy. Lies, deception, and danger hung in the air. Lisa Scottoline poured suspense and action onto every page. Not one single boring moment. Also, I loved the small community of support that was created for the main character. It softened the hard yet dark edges of this story. Romance, crime, and mystery are displayed here. I could not get enough of the characters. Mary is the central character. She is pregnant and solved a case that others couldn’t solve. Her instincts are so clear, that it was frightening. Her guesses were right but sometimes the wrong suspect is chosen. But none of that stopped Mary from working the case. Her strong willed personality helped define her as a woman not to be toyed with…as one of the male characters has figured out later in the plot. The connection between Mary and her husband, as well as the connection with another man kept the me guessing. Feared is a novel about facing fears and getting justice. Overall, I would recommend it to readers seeking a rush of adrenaline.